Then they become confused. You see, there’s nothing at all wrong with the Toyota Corolla. 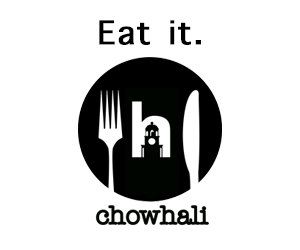 If there were, I wouldn’t recommend it. But the issue is, people have vastly different wants and needs in a car than I do. 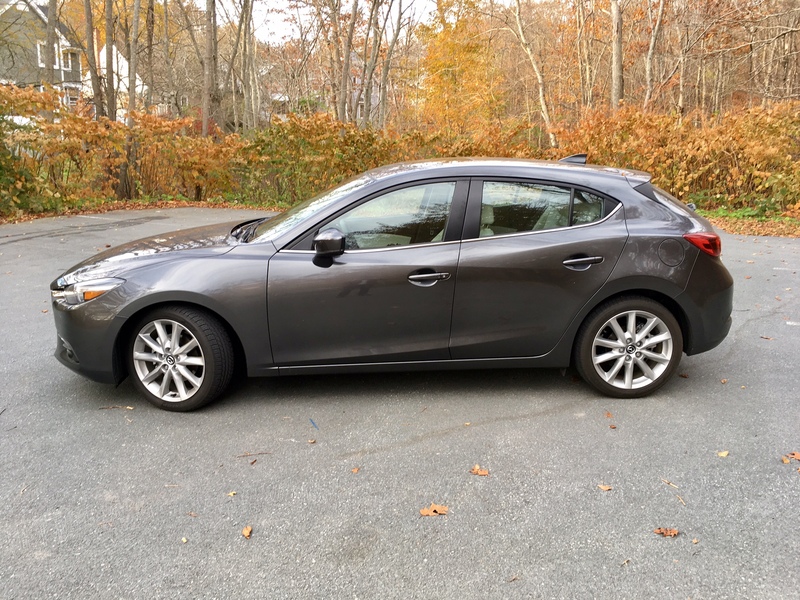 So when they ask what I would purchase were it my own money, more often than not I say the Mazda3. Then I need to explain why the Mazda3 is great for me but not necessarily for them. And a big reason why, usually has to do with fuel efficiency. 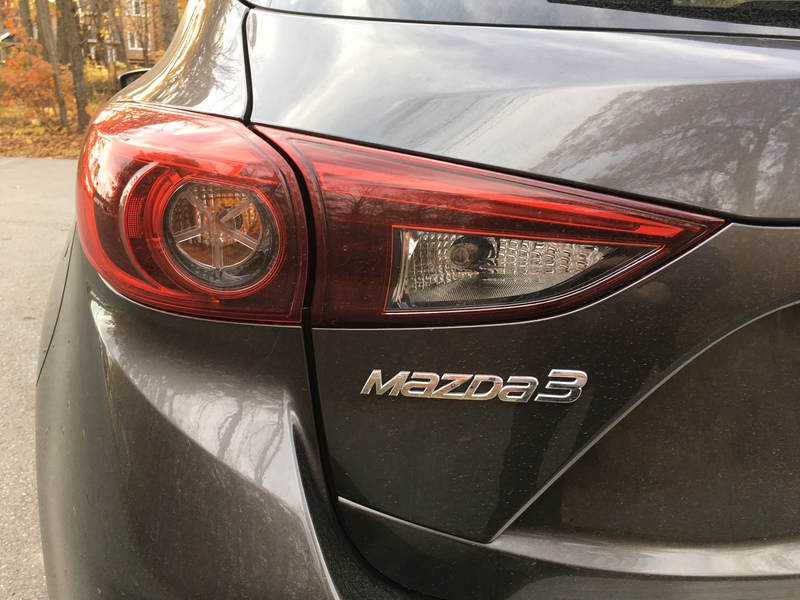 Not that I don’t want something that’s good on gas, but the Mazda3’s focus, and indeed Mazda as a company, has always been on performance. To me, having fun while driving is more of a priority. But Mazda has been chugging away at trying to let has have our cake and eat it too. This new 2017 model promises to be enhances both in fuel efficiency and performance. Believe it or not, Mazda has actually re-worked the exterior of the 2017 model year. You have to look very closely, but when you do you’ll notice a new front grille, re-worked trim around the front turn indicators along with tiny LED fog lamps added. There’s also an LED strip which wraps itself around the bottom half of the headlights, but they aren’t daytime running lights as the LED headlights on my tester’s top GT trim serve as the DRL’s as well now. 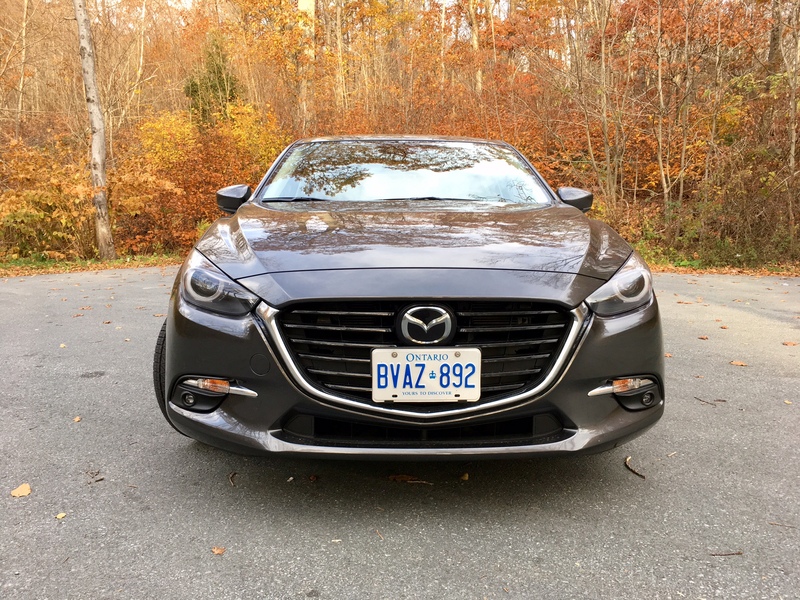 It’s probably just as well that Mazda added merely some mascara to its compact offering as the look was, and probably still is, considered to be the prettiest of the lot in the segment. 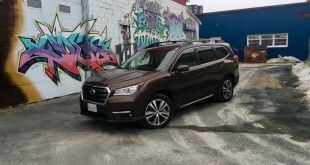 The only danger here is letting the swoopy styling cues coming from Hyundai, Honda and Chevrolet steal the hearts of impulse buyers at the dealerships. 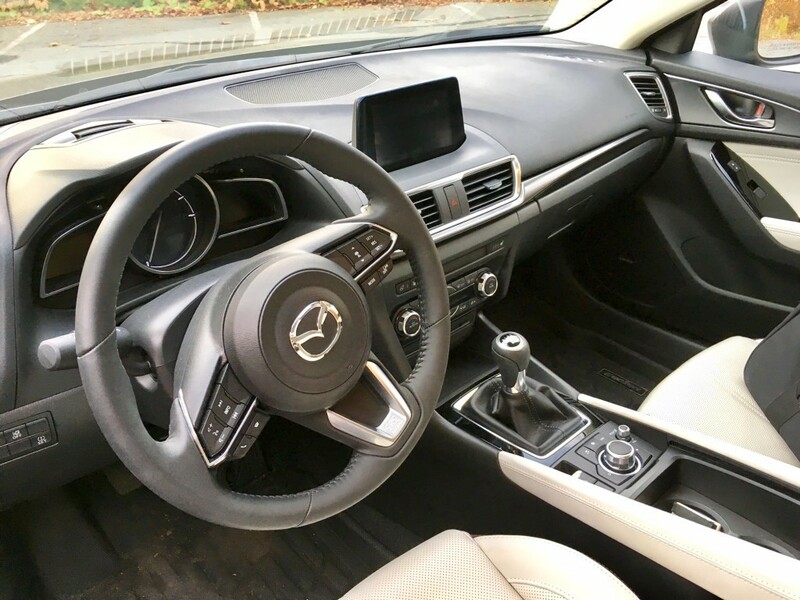 The more substantial changes are found inside with the most obvious being a new steering wheel which is borrowed from the redesigned CX-9 and an electric parking brake which frees up more space for the cup holders and cubby holes. There ‘Active Driver Display’ is still sticking around. It is basically Mazda’s version of a head up display but instead of being projected onto the windshield, it’s projected onto a small clear piece of plastic that rises up once you hit the ignition. I’ve never been a fan of this feature and I continue to be unimpressed by it, however it has at least been updated to include clearer, brighter fonts and features speed limits if you check off the right package. 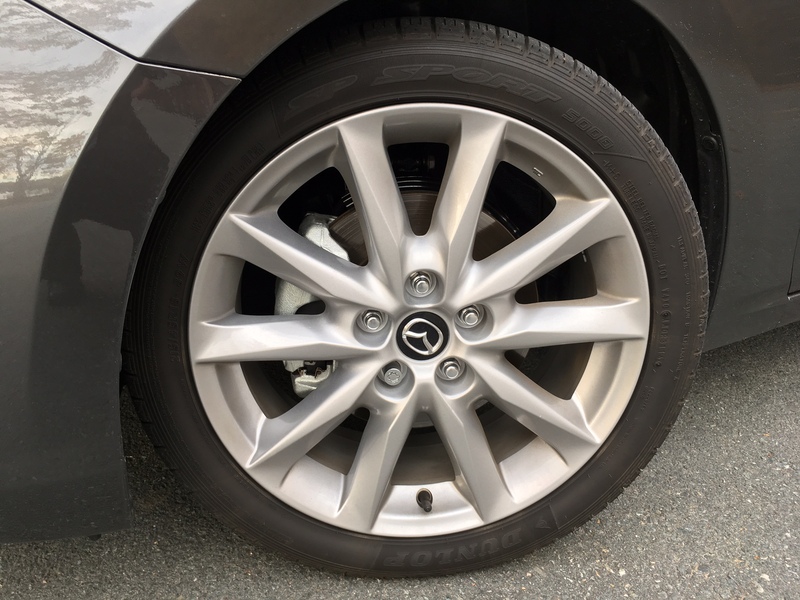 Mazda might be nearing the top of the segment when it comes to layout and quality of materials. It seriously borders on premium, even in this segment. The infotainment screen is placed on top of the dash, like it is on most premium brands, as is the dial to operate it, which sits in between the two front seats. The menu set up isn’t as intuitive as those premium brands, but it is fairly easy to get used to. 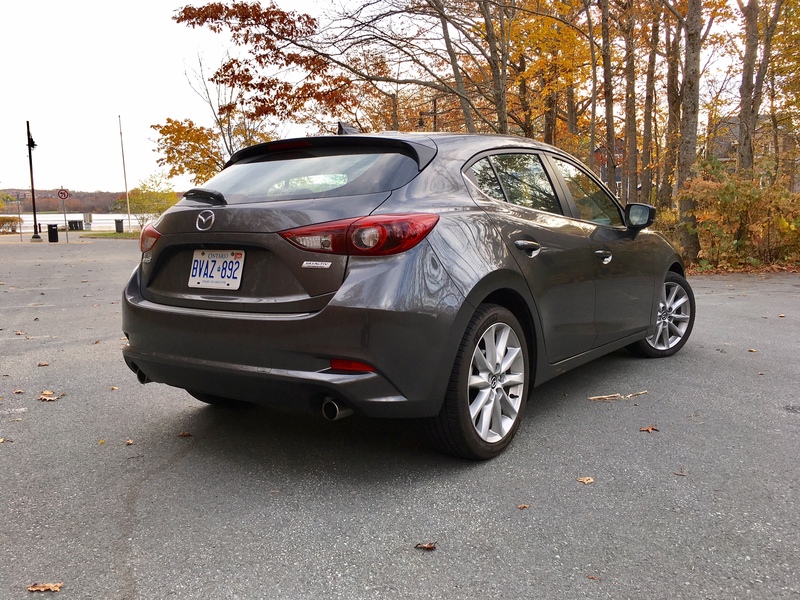 Also, the Mazda3 isn’t the most spacious of the compact offerings, but it does the trick for the most part and is obviously offered in hatchback form, as my tester was which helps with versatility. Outward visibility isn’t top of class due to the swoopy, curvaceous shape. You’ll get two engines to choose from with the new Mazda3: 1 2.0 litre 4-cylinder which puts out 155 horsepower and 150 pound feet of torque. Engine is available with the base and mid GS trim. 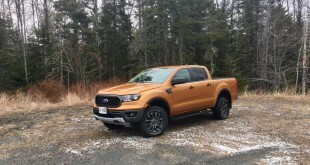 The GT trim gets a 2.5 litre 4-cylinder which produces 184 horses and 185 pound feet of torque. And, bucking the industry trend, you can have your choice of a six-speed automatic or a six-speed manual regardless of the trim. 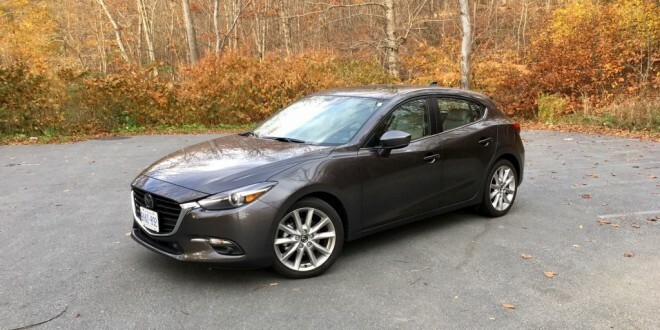 Thankfully, Mazda3 sent me the fully loaded GT model with the six-speed manual, which is really the best way to get the most juice out of this engine. The exhaust note even has a slight throaty note to it, almost like a mild version of the old Mazdaspeed3. But get up and go is a synch thanks to the easy-to-get-used-to clutch and the relatively slick shifting manual. You generally feel in complete control as a result. 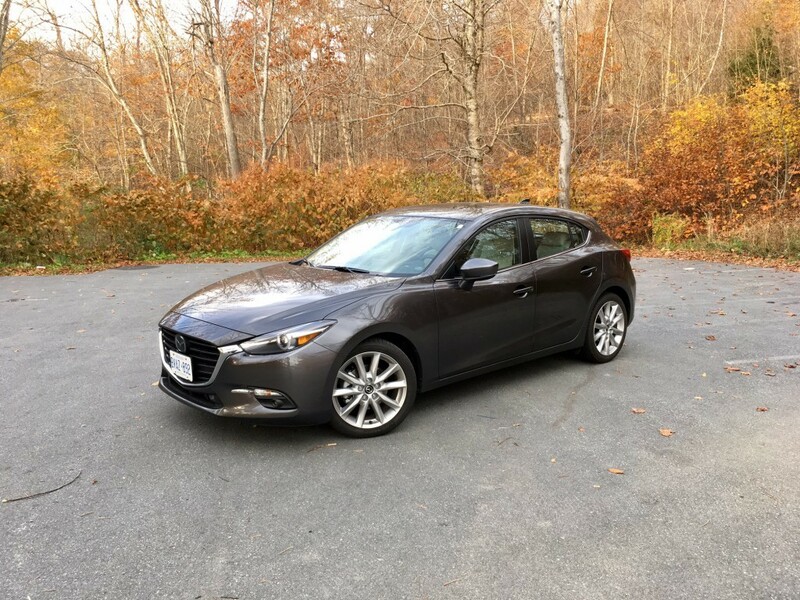 There’s a big reason why Mazda trumps its competition in terms of performance and it’s not only because it offers manual transmissions across the board. Handling has typically been this car’s forte and the same is true for 2017 except with an added twist. 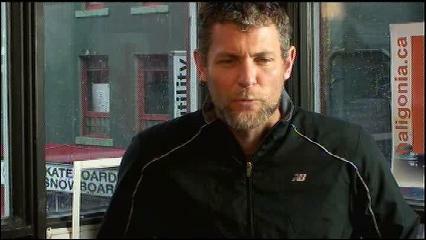 They have added G-Vectoring Control, which adjusts torque animatedly. This adds load to the front wheels which results is better steering feedback and better handling abilities. 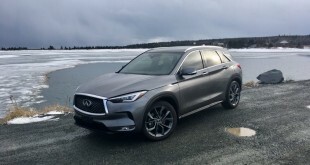 Now, since the 3 already donned some of the best handling abilities in the segment, this latest change may not be immediately noticeable until you specifically start paying attention to it. The new 3 now seems as if it has a bit more confidence when pushed. 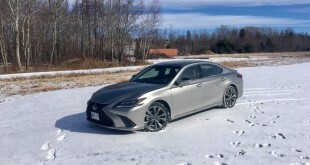 What may be a bit surprising is, in the process of providing a better handling car, even if only remotely so, comfort and noise also appears to be improved as well. While far from being Buick-like in its road manners (don’t worry that’s actually a compliment, GM), imperfections in the road seem less noticeable inside the cabin. The same goes for road noise. With the manual transmission and the 2.5 litre engine, the 3 is officially rated at 9.6 L/100 kms city and 7.0 highway. If you opt for the same engine but with an automatic, those numbers improve substantially to 9.0 L/100 kms city and 6.7 highway. Don’t let that be a reason to opt for the automatic though, because in mixed driving for a week, I was able to return a rather impressive 8.3 L/100 kms. And therein lays the triple play. Before, I couldn’t really recommend the 3 over a car like the Corolla to most people because most people place fuel consumption, ride comfort and quality. Well, Mazda seems to have addressed all of those requirements all while maintain style and performance. 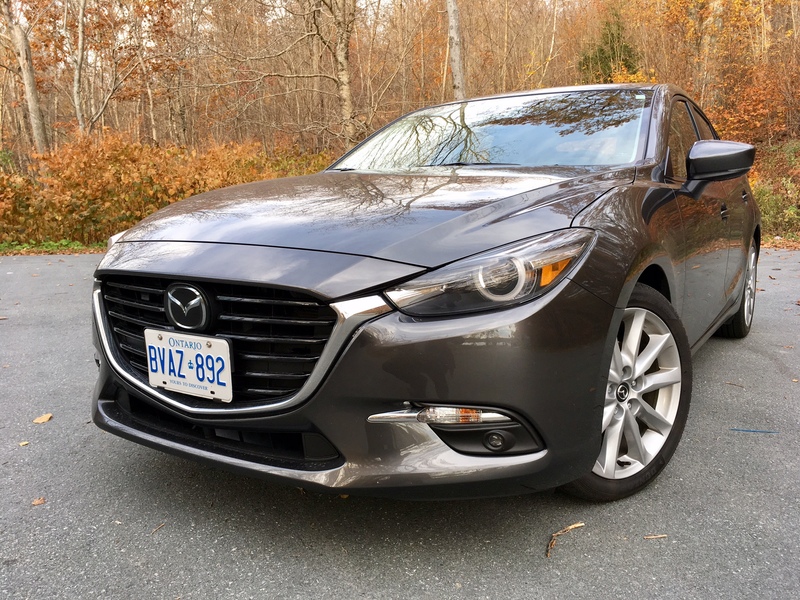 It seems as if, now, when a ‘normal’ person asks for my recommendation for a car that can get them from point A to point B, I can now include Mazda’s offering to the list – it isn’t just for gearheads anymore. Let’s get a real head-up display, shall we?